Summer started out busy for us at the New Orleans Musician’s Union (AFM Local 174-496)! Enrich the lives of the general public, young and old, through music and to contribute to the public’s knowledge and appreciation of music. Visit www.musictf.org to learn more about the great work they do! The cities chosen for the documentary were New York, Los Angeles, and New Orleans. Being included with such other great American cities is a true honor and we can’t wait to see the final result. 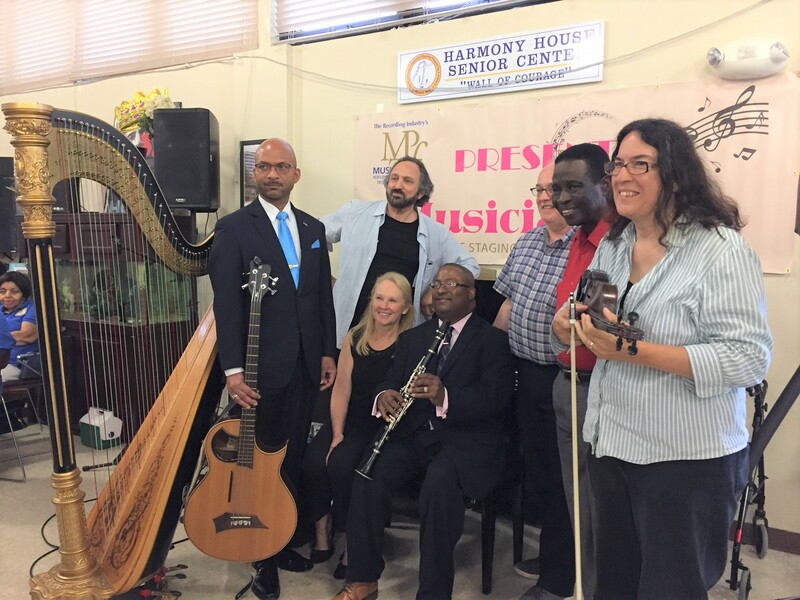 This segment of filming involved a roundtable discussion with seven of our members who had previously performed at MusicianFest, and we put together a live MusicianFest concert at the Treme Harmony House where five of our members performed for seniors. Moreover, individual musician interviews and performances were recorded. Thanks to the MPTF for sponsoring and compensating our musicians! We plan to hold a screening in our new Tricentennial Hall once the film comes out to celebrate live, local music with all of New Orleans, so stay tuned!